The federal state of Brandenburg is located in the northeast of the republic. 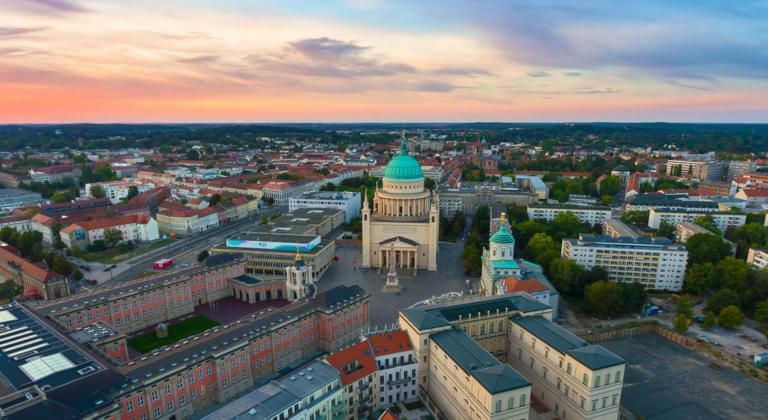 Characterized by a unique natural landscape and historical towns, Brandenburg is of course an attractive destination for travellers. To discover the federal state freely and spontaneously, it is sufficient to hire a car. With a hireal car, travellers are flexible and can adjust to a new destination at any time. Most hire the car in Potsdam. Because Potsdam is not only the state capital, but for many the starting point for a contemplative journey through Brandenburg. Potsdam has a lot to offer. Above all the famous castle Sanssouci. Where are there car hires in Brandenburg? Here are some of the places at which you can hire your car in Brandenburg. East along the picturesque avenues the Spreewald begins. A typical German landscape with a century old tradition, hence a destination that you should definitely visit by hireal car. One leaves the hireed car here gladly for a longer while to be able to participate in a boat trip in the Spreewald. From here, the journey continues to the north. There, the historical cities Cottbus and Brandenburg an der Havel are waiting for you. Some plan the journey to Brandenburg while in Berlin. A car hire in Berlin goes naturally very easy and over driveboo even still to the best conditions. A journey from Munich to Potsdam takes for example good 5 hours. After all, these two cities are separated by 555km. However, it is worth it. Not only because of the many lakes and landscapes or the historical cities. But of course primarily because of the proximity to the capital. In the heart of Brandenburg lies Berlin and to explore this metropolis in a hireal car is worth a trip.